Just recently I decided to build a DIY island to go in my guest house. I really wanted a cedar topped island, but knew that this was not the typical countertop material for an island. But, I decided that I would go ahead with the project and try to demonstrate how to easily throw one of these together using only wood materials that can be found at any big box store. 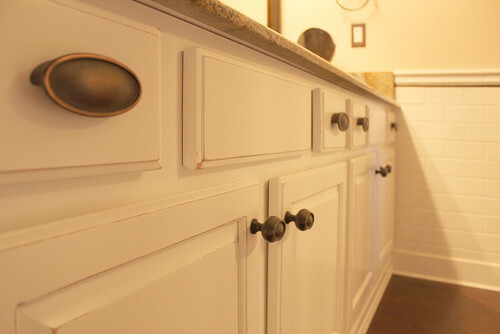 If you take a look around the internet, you will see that there are a lot (and I mean A LOT) of people showcasing their DIY refinished cabinets. Seems like everyone has gotten on board with this do it yourself project. I’ve done several refinish jobs myself over the years. In fact, I am in the process of redoing my laundry room right now. (Coming soon). Because of that, I wanted to discuss just a bit the process for getting a quality job. Plus, I wanted to show some well done before and afters of several refinished cabinets that followed all of the correct steps. 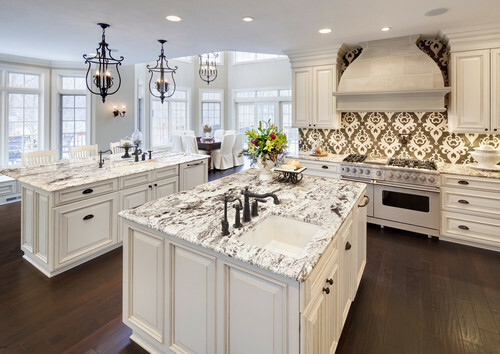 Countertops come in so many different materials, colors, and finishes that it can be overwhelming trying to decide what to choose. Obviously, I can’t cover all of the countertop options in just one article, but I did want to explain the different types of materials. I also will touch upon different finish options when appropriate. This should provide you with a very good idea of which direction that you would like to go. Cabinets, cabinets, cabinets. 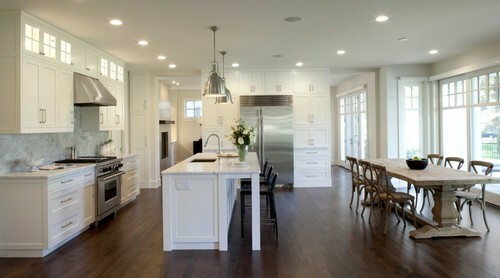 Who doesn’t dream of redoing their kitchen or bathroom with fabulous cabinetry? If you happen to be in the process of planning or completing a kitchen or bathroom, then you are aware of the vast amount of choices that this entails. Sometimes, a person just needs a little help with all the cabinet options.